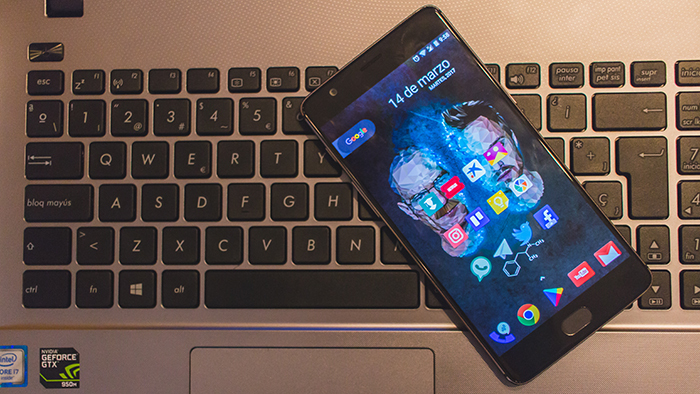 [Download] The Open Beta of Android Oreo is now available for the OnePlus 3 and 3T, The updates are an aspect of Android users into account, are more important than people think. That’s why manufacturers are trying to update their devices every day, they know it’s important, so they’re putting the efforts, like OnePlus. OnePlus, a company that has managed in a very short time to displace big brands with its terminals. Some devices with a quality / unbeatable price, and of course if we add that update at a frantic pace, we can say that we are facing the best terminals in this sector. No, you’re not dreaming, it’s all true, OnePlus has released the Open Beta of Android Oreo for its ‘old’ terminals. The old word is in quotes, yes, and is that there are many users who said that OnePlus forgot the previous terminals and only focused on the new. 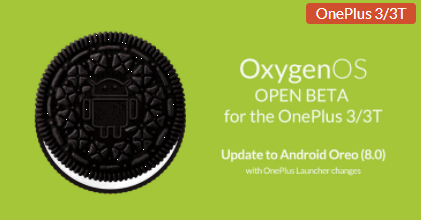 Dear friends, I do not think so, the company has launched the Open Beta of Android Oreo for OnePlus 3 and 3T rather than for its current flagship OnePlus 5. What do you think? Something incredible, quick updates with previous terminals, we can not ask for anything more. There you have it, today the OnePlus 3 and 3T are receiving this notification, the possibility of testing Android 8.0 Oreo on these models. As you see, all those who claimed that the company only looked at their current smartphones were wrong, it seems that OnePlus is not like the rest and wants to have the majority of its users satisfied. For all those who want to try Android Oreo should know that it is installed via OTA, in case they were registered in the Open Beta program or from the terminal’s own updater, in case of having the stable version. If you are interested, you can download for the OnePlus 3 and OnePlus 3T. File size is 1.49GB for each one of them. Let us know how it feels and if there are any bugs or features you like. The change-log mentions that users will get features such as picture-in-picture mode, autofill, smart text selection, and notification dots. In addition to those is a redesigned quick setting and the ability to upload photos directly to Shot on OnePlus. Some known issues listed are a slower fingerprint sensor, no shortcut access to Google Photos, and stability issues with NFC and Bluetooth. We Hope Oneplus Fixes all these soon and find a stable version to get into the hands of everyone and being the second to provide this update after google. 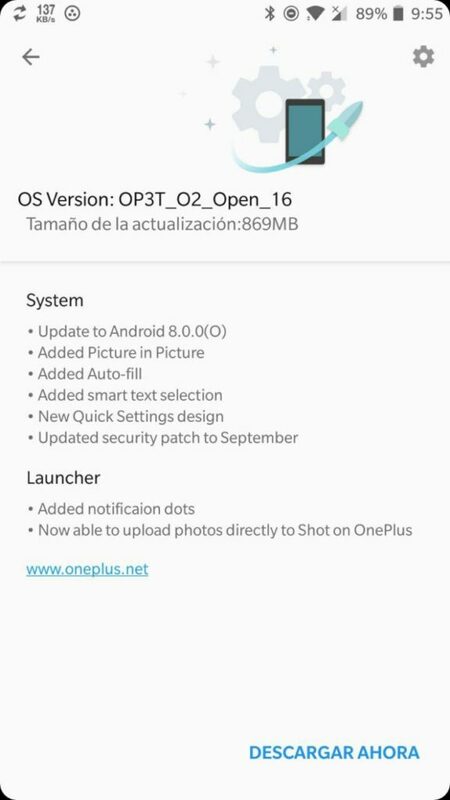 What do you think about the update for the OnePlus 3 and 3T? Are you going to try it?